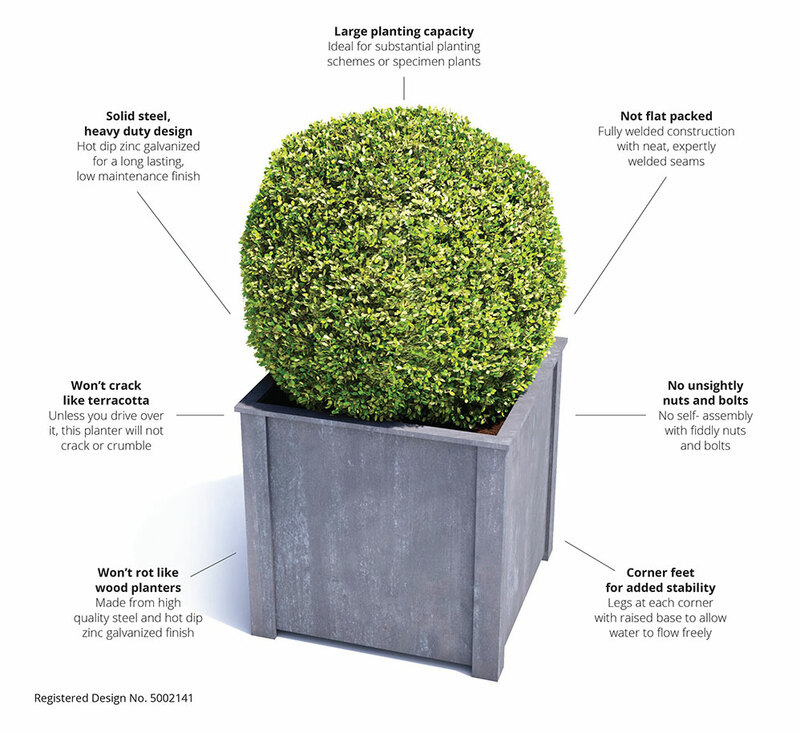 This very large steel planter is designed to hold generous plant displays or small trees. 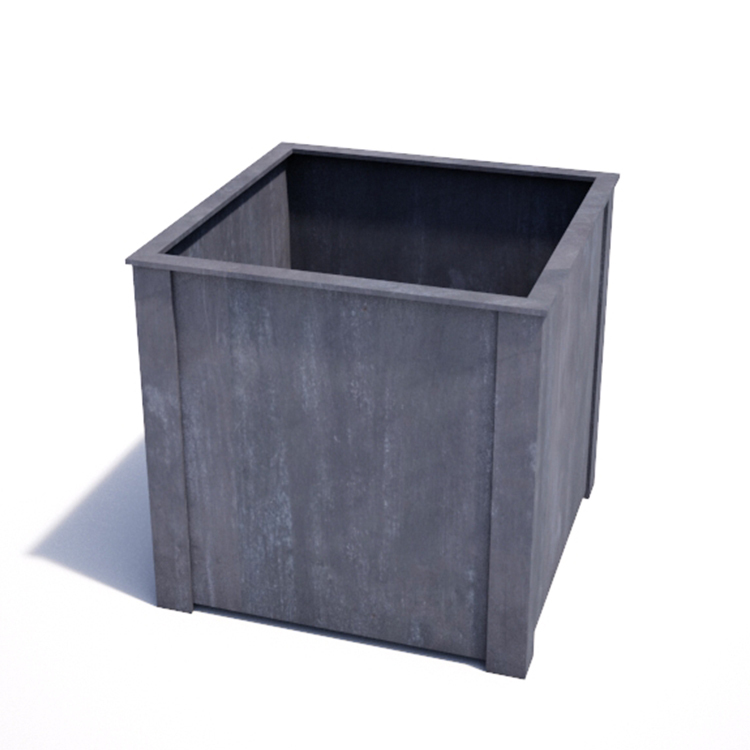 Each leg is skilfully welded to the sides, base and top lip to create a very strong planter. Bespoke planters available.